65mm diameter white button badge with safety pin fitting. This badge has a slightly curved surface. 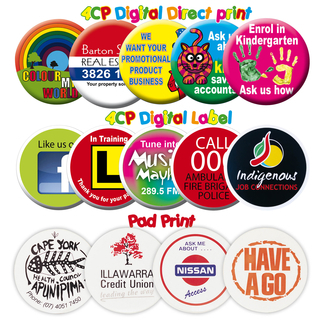 Perfect badge for product launches, tradeshows, cafe's and restaurants, retail and travel.